It’s March Break in Toronto next week! If you’re looking for activities to do with the family, look no further. From March 12 to 18, check out what’s happening in the city throughout the kids’ week off. What: The Today at Apple program is great for families, creatives, or curious minds looking to improve their skills with coding, drawing, photo, video, editing, and more. Over the break, Toronto Apple locations will be hosting a wide range of family-friendly events and activities. When: Events differ by day and store location. Visit the Today at Apple calendar to see what’s available near you. What: Whether you’re a Sith lord or a Jedi Knight, the Cinesphere is the place to be for all those who love space opera this March Break. Located amidst the shimmering waters of the revitalized Ontario Place, there really is no better place to experience one of the most critically-acclaimed movies of 2017, than in Toronto’s famous geodesic dome, on the 10-story high screen. 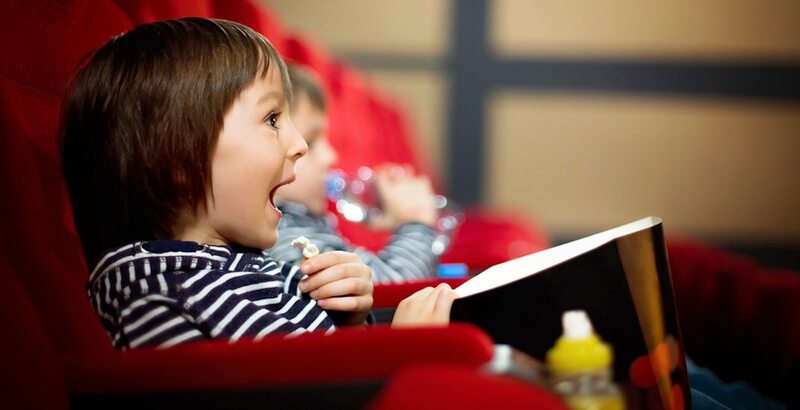 What: Discover the world as a family this March Break at the TIFF Kids International Film Festival. Guests can enjoy 100 films from 40 countries, interactive screenings, and the chance to play in digiPlaySpace, TIFF’s very own film playground. What: The Ontario Science Centre has a March Break program that includes everything including their robotics program. Come and enjoy live demonstrations, hands-on activities, and challenge-driven workshops, learn about the design, construction, operation and current, and near-future, uses of robots. 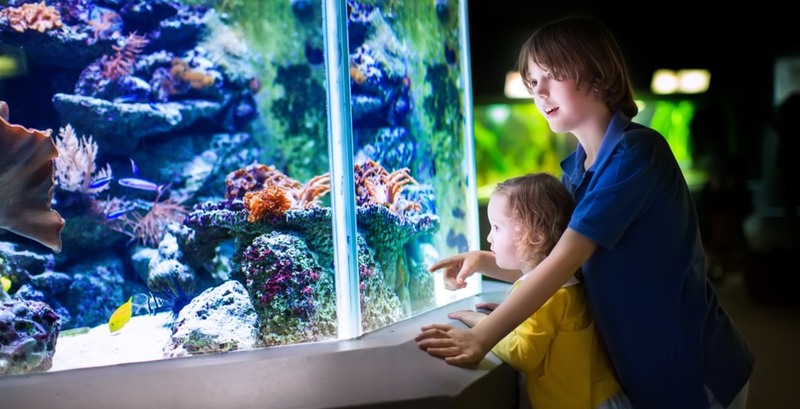 What: Take an underwater adventure at the Ripley’s Aquarium! Choose one of their programs or just go for a stroll with the kids. What: This March Break, travel to a fairy-tale castle during an era of dragons and adventure. Multiple exciting and interactive theatrical live shows are guaranteed to take you back in time to a bygone era. Most importantly, check out Heavy Meta, a 30’ long, 19’ tall fire-breathing metal dragon, from the terrace. 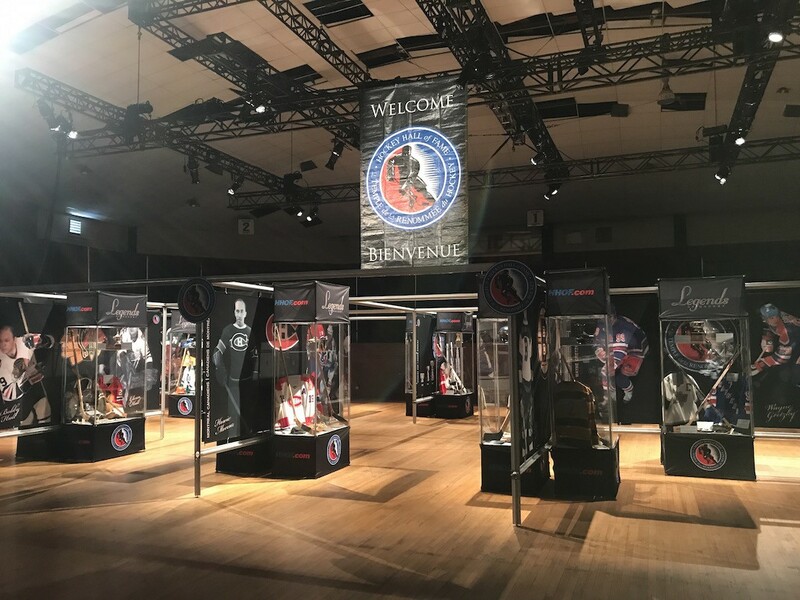 What: Over the break, celebrate 125 years of hockey as you check out the Stanley Cup and cherished artifacts paying tribute to Lord Stanley’s gift to the game. Try your hand at goaltending, shooting, play-by-play calling, and even hosting your own sports broadcast. March Break at the Zoo! What: Connect with conservation this March Break with some of your favourite animals. Head to the Zoo to say farewell to the giant pandas, visit the one-horned rhino calf, stop by the Wildlife Health Centre where you can get a glimpse into the work the Zoo does behind-the-scenes, visit the new Aldabra tortoises, and more! What: This March Break, head back in time to the Viking era! As one of Toronto’s top must-see attractions offering fun family events, the Museum will be buzzing with creative things to do, live performances, and the best of the Viking spirit. What: The AGO has tons of family-friendly activities planned over the break. 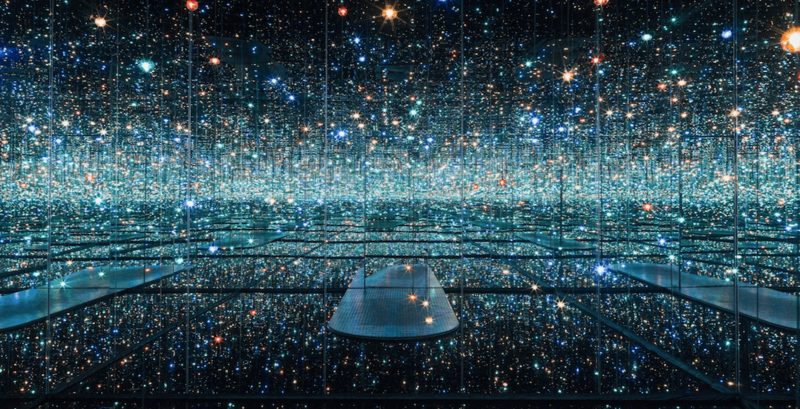 Come and immerse yourself in Yayoi Kusama’s playful world of light and colour, take a journey through time and space, or create a huge collaborative futuristic city. Still not satisfied? Make a lantern of light or a silly Emoji face mask, play with light and shadow, print a kaleidoscope of coloured patterns, and at the end of the day,and make a family memory at the Selfie wall. What: Come and escape the city at Toronto’s Wizard World Fun Park over the break. With daily live shows, over 25 carnival rides, games, magic shows, and carnival treats, Wizard World is jam-packed with fun for every thrill-seeker. This year’s entertainment includes daily shows from illusionist Wizard-Ry, Birds of Prey, the world famous Doo Doo the Clown, and dance parties with Bounce Entertainment. 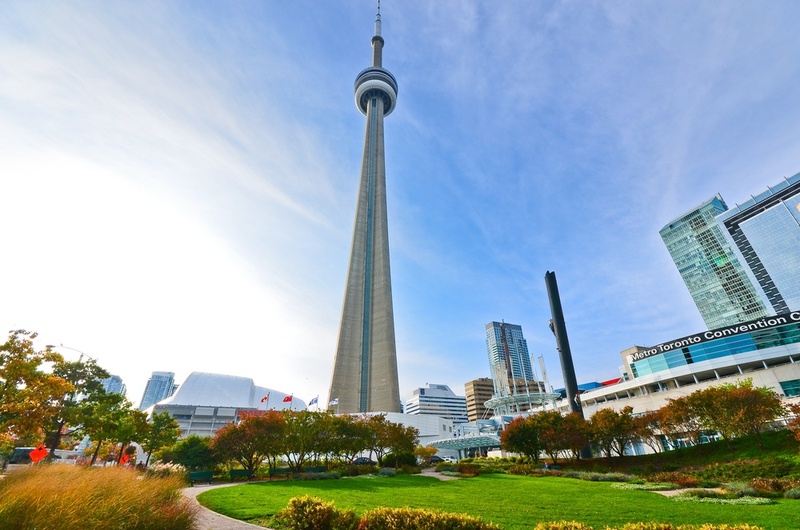 What: Make the CN Tower your next big adventure this March Break. Explore the world’s #1 elevator ride, check out the lookout and glass floor observation levels, plus enjoy special March Break activities. What: This March Break, let your kids unleash their creative sides at Paintlounge’s ‘Beach Getaway’ painting workshop. Little ones can learn how to paint using different techniques like a brush, a palette knife, and stamping before they head home with their masterpiece. What: The Children’s Wish Foundation of Canada is hosting its third annual Princess and Superhero Party over March Break. Bring the little ones to enjoy superhero skills training and games, face painting, craft stations, visits with their favourite princesses and action heroes, and more. Proceeds will go towards helping grant wishes to children with life-threatening illnesses in Canada. Where: Liberty Grand, Governors Ballroom, 25 British Columbia Rd. March Break camps are a great opportunity for children and youth to enjoy a range of activities such as arts, crafts, music, drama, sports, and games. Thirty-six outdoor artificial ice rinks will be open over the break, weather permitting. The City of Toronto has 62 indoor pools that will be open over the break. Visitors can tour Riverdale Farm’s scenic grounds to see domestic farm animals such as pigs, horses and sheep. Established 120 years ago, the High Park Zoo is home to domestic and exotic animals, including bison, llamas, peacocks, reindeer, highland cattle, and yaks. Admission is free. Just minutes away from downtown by ferry, Toronto Island Park offers March break fun for everyone. It’s a great place to walk, roll, cycle, explore and enjoy the city skyline.